On Tuesday, we reported that the Russian military in Syria thwarted a massive drone attack at the Khmeimim air base and Russian Naval point in the city of Tartus on January 6, intercepting 13 heavily armed UAVs launched by terrorists. Shortly after, the Russian Ministry of Defense released new information, noting "strange coincidences" surrounding the terrorist attack: these included a US spy plane spotted in the area, namely a US Navy’s Boeing P-8 Poseidon reconnaissance aircraft on patrol between the Khmeimim airbase and Tartus naval base in Syria during the time of the attack. While the Russian Ministry of Defense consciously didn’t point any fingers when talking about the January 6 attack, it demonstratively pointed out that the technology used in the attack was telling. Advanced training in engineering in “one of the developed countries” would be necessary to program the principal controllers and bomb-release systems of an aircraft-type combat drone, the Russian statement stressed and added that "not everyone is also able to get exact [attack] coordinates from the space surveillance data." "This forces us to take a fresh look at the strange coincidence that, during the attack of UAV terrorists on Russian military facilities in Syria, the Navy reconnaissance aircraft Poseidon was on patrol over the Mediterranean Sea for more than 4 hours at an altitude of 7 thousand meters, between Tartus and Hmeimim." 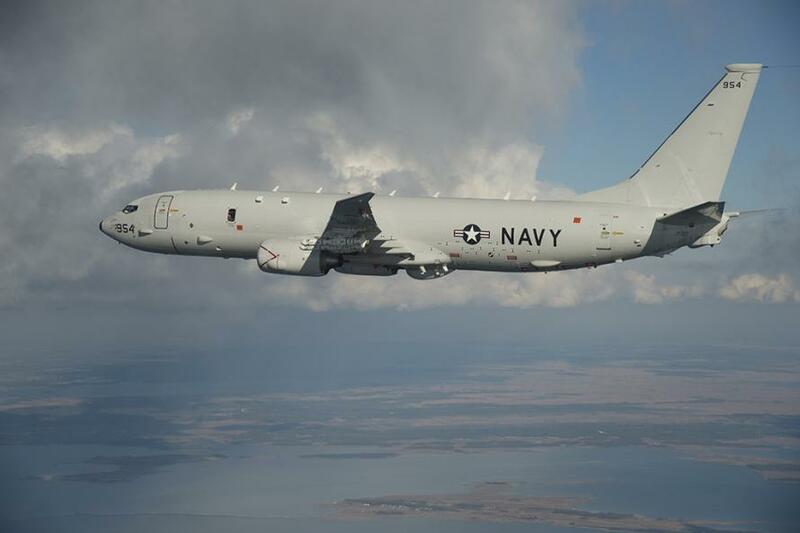 Which is why the presence of the Navy Poseidon reconnaissance aircraft, a high-tech spy plane with electronic warfare components, in the region during the drone attack, does appear rather suspicious. The Pentagon countered that while the US was “concerned” over the incident, Pentagon spokesman Maj. Adrian Rankin-Galloway, however, claimed that “those devices and technologies can easily be obtained in the open market.” He later also told Sputnik that the US already saw what it called “this type of commercial UAV [unmanned aerial vehicle] technology” being used in Islamic State (IS, formerly ISIS) missions. Russia has repeatedly warned that US military supplies aimed at supporting “moderate” Syrian militants eventually end up in the hands of terrorists. Meanwhile, as we noted earlier, after Russian President Vladimir Putin ordered a partial withdraw of troops from Syria back in December, militants have been eager to gain an edge with swarming high-tech drones that have remarkable long-range capabilities. However, in light of these latest development, the one latent question we -and others are asking in this incident - seem even more pressing: who is supplying the militants with these high-tech, long-range drones, and in - light of the above - who is supervising their proper deployment?